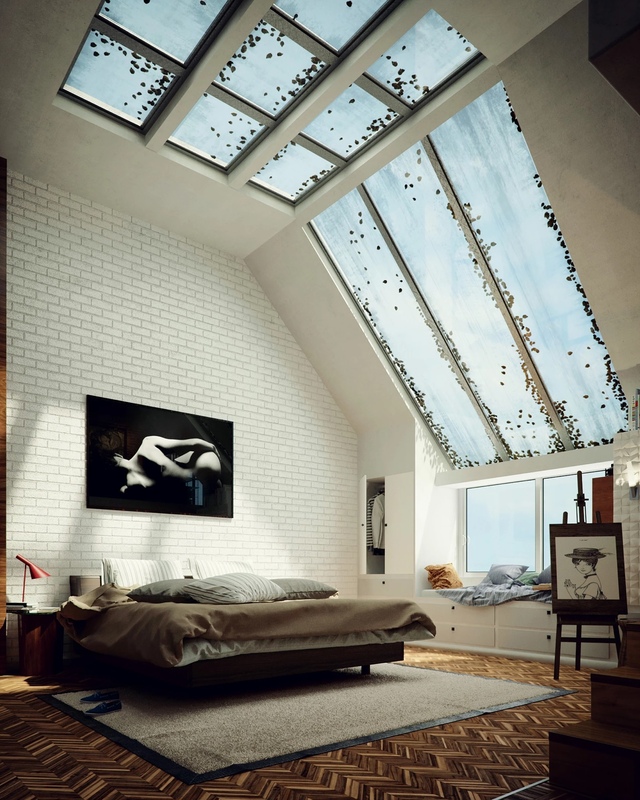 With a stunning view like this one, you don’t need a lot of busy color in the bedroom. 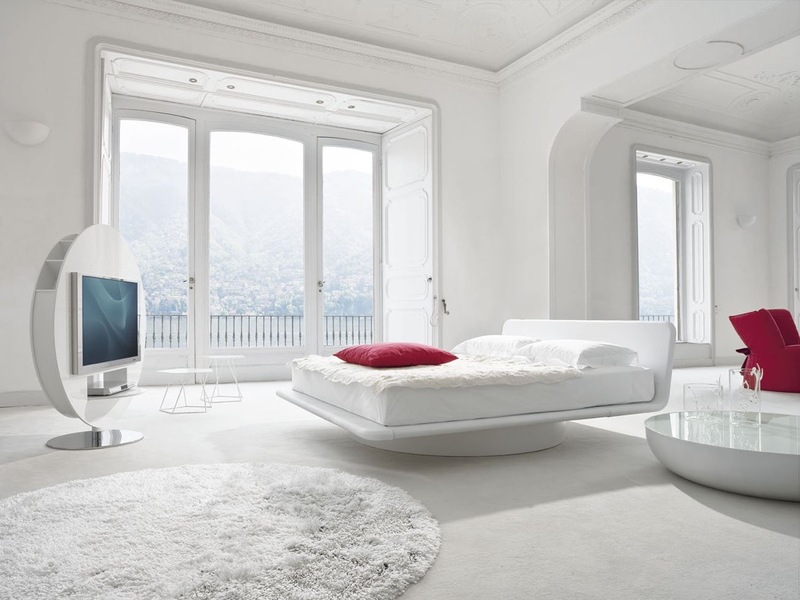 This white and wood design, plus a soft shag rug, is the perfect perch for watching the sky. 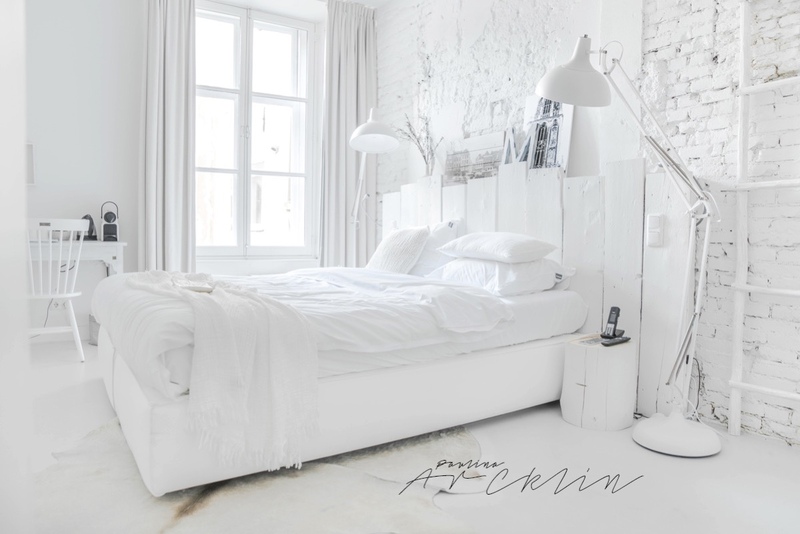 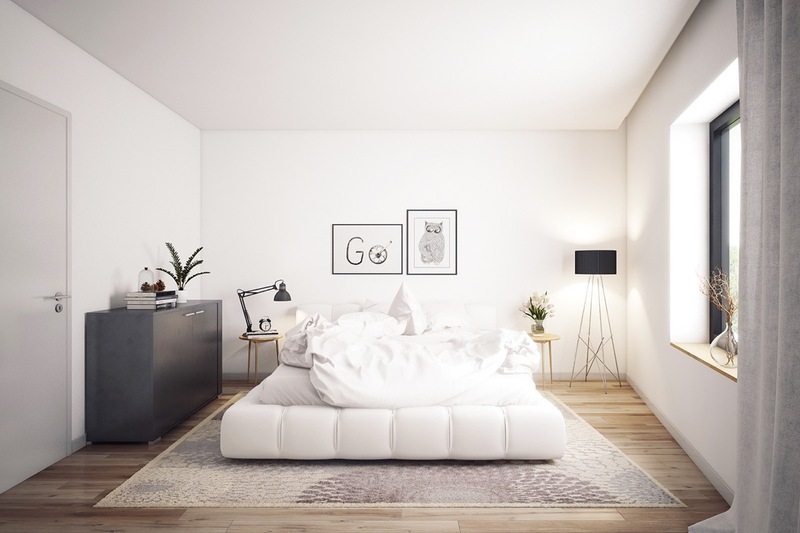 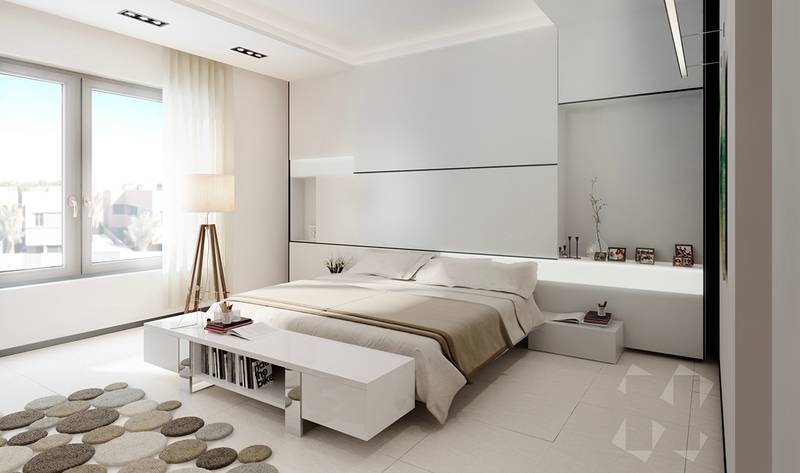 Using a white palette can be a good tactic in a studio apartment. 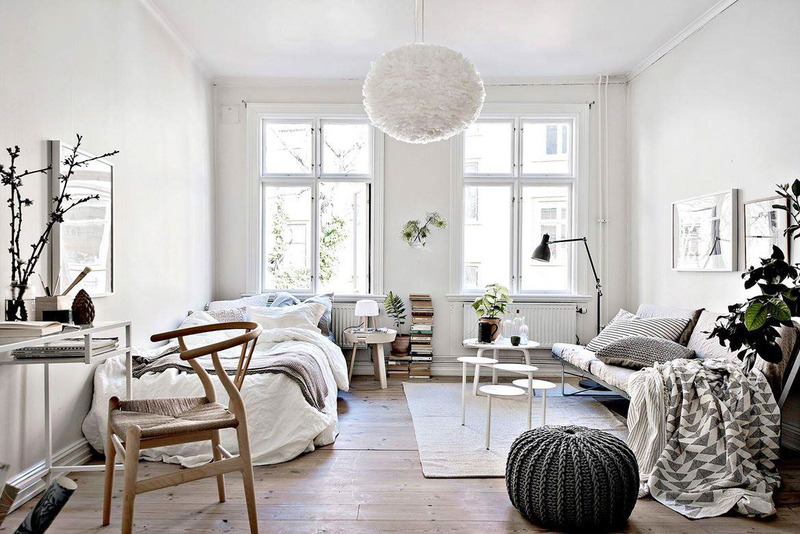 Here, white walls make the apartment feel big and bright while Scandinavian style chairs add a simple practicality. 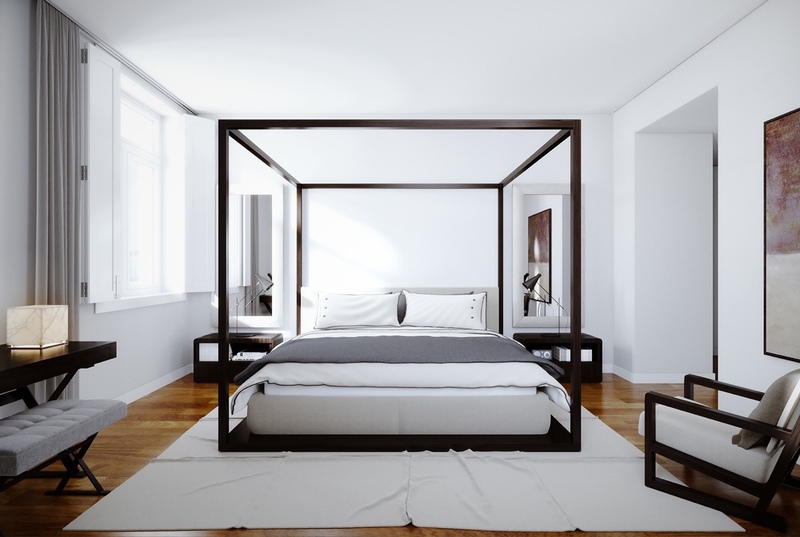 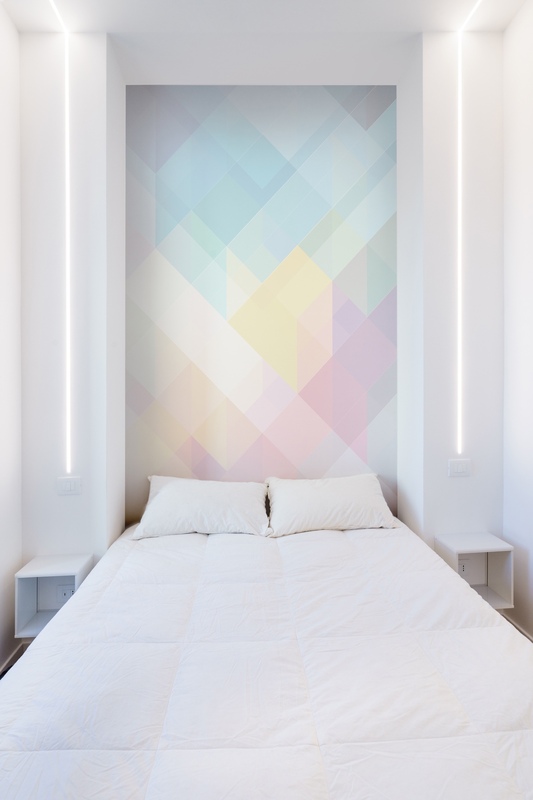 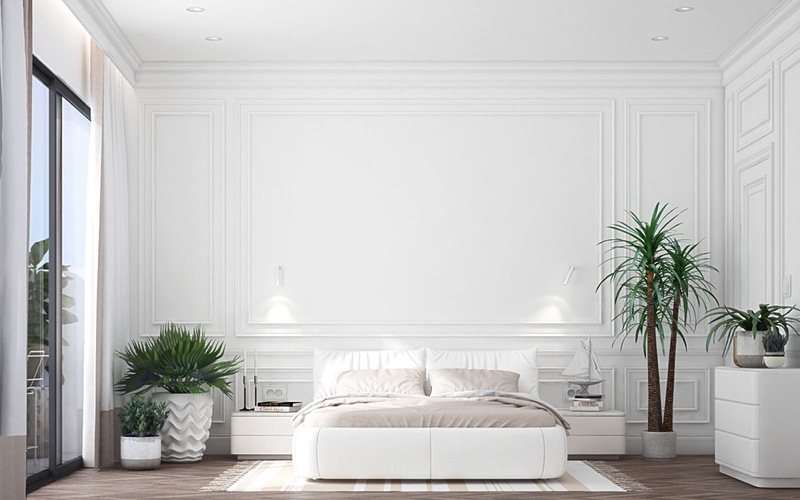 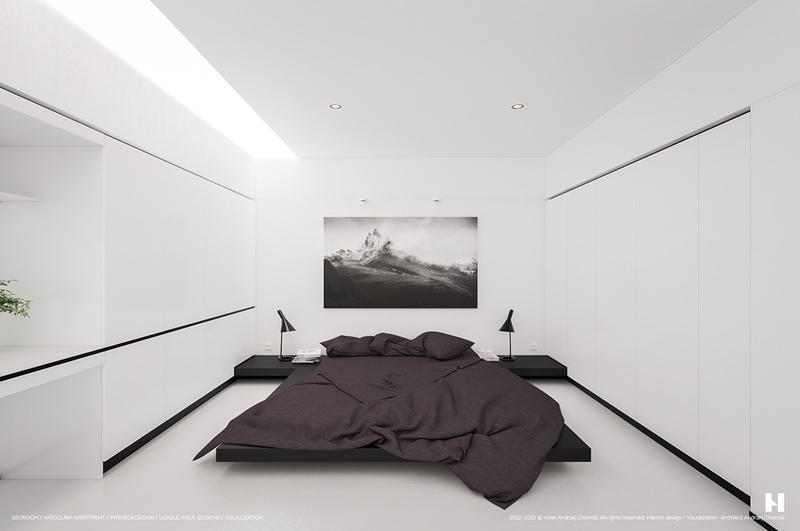 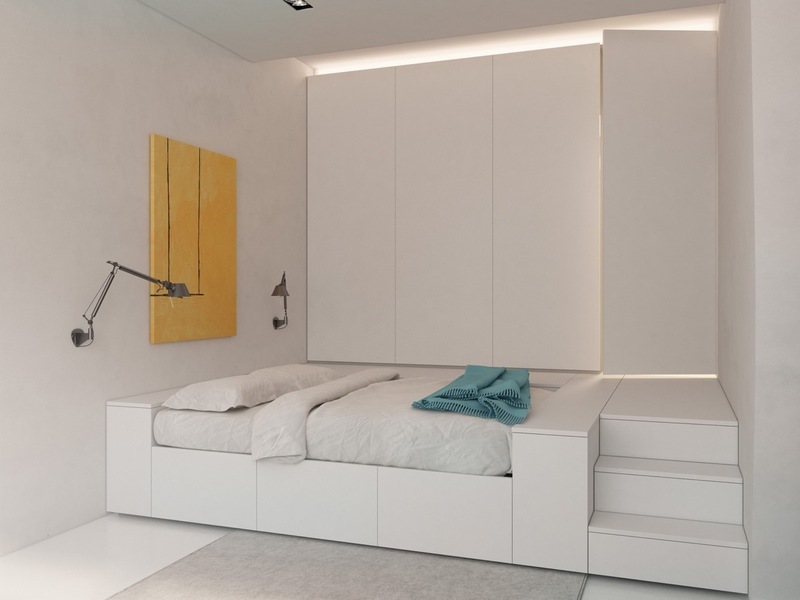 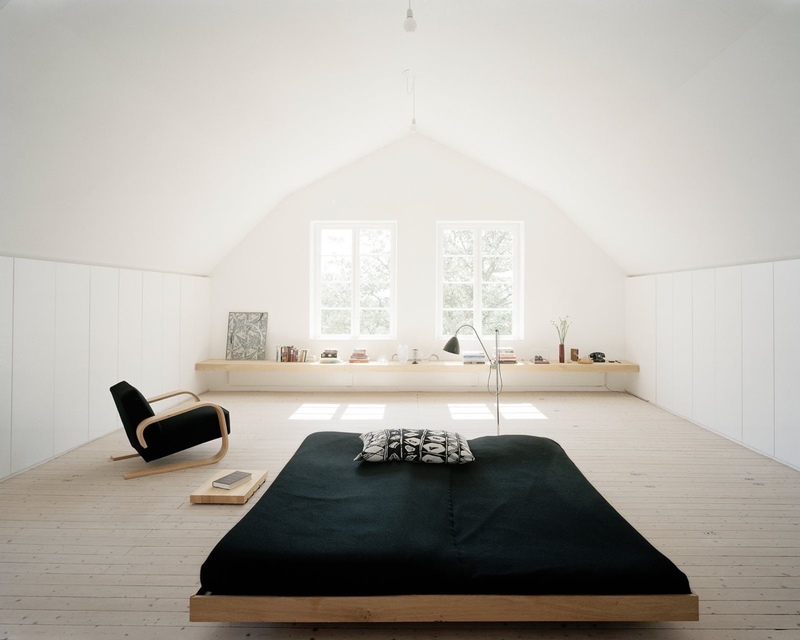 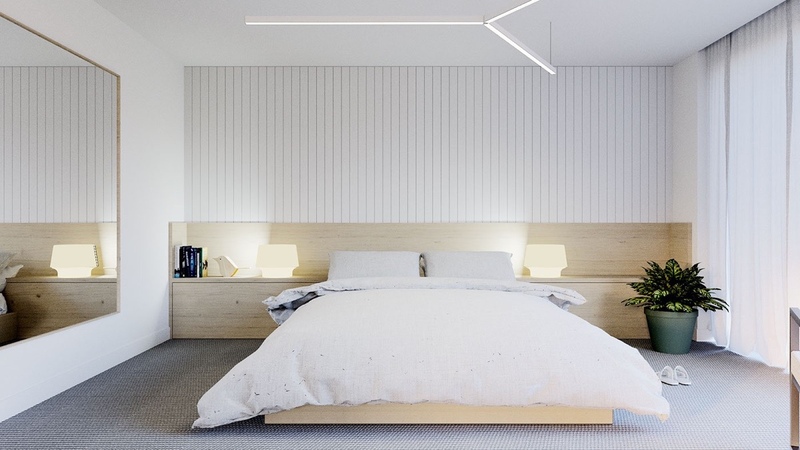 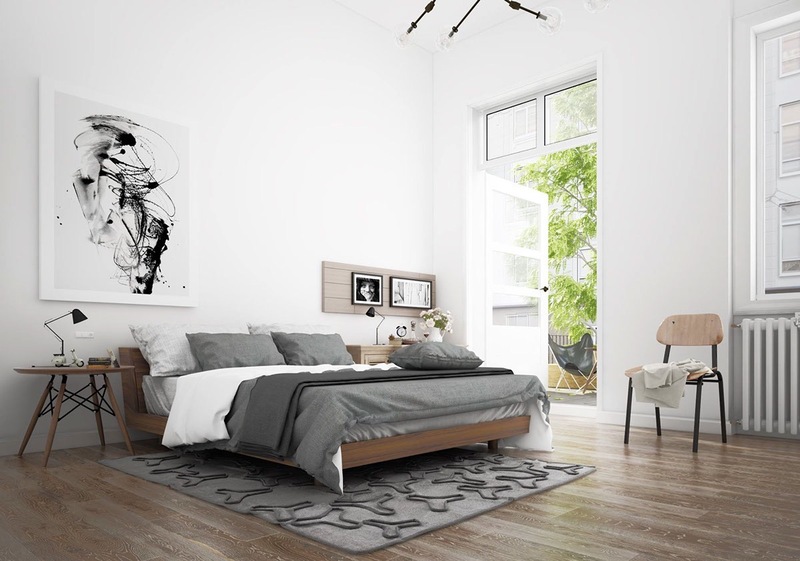 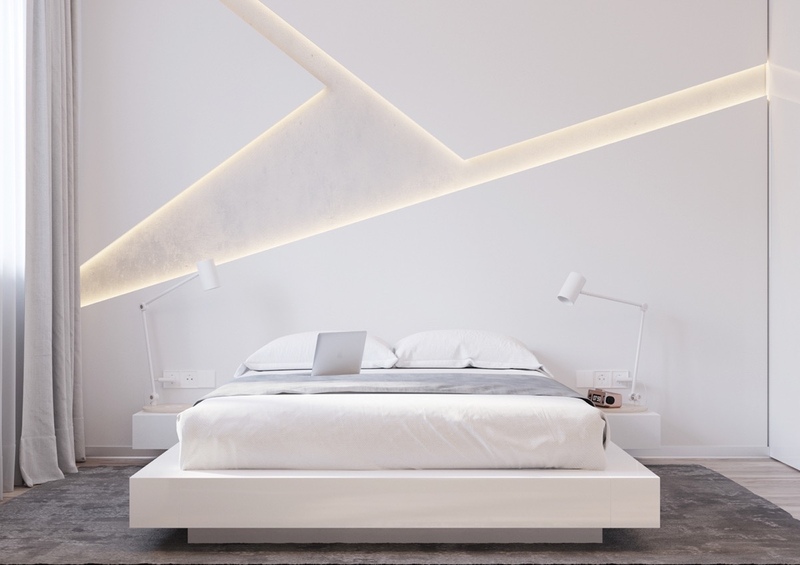 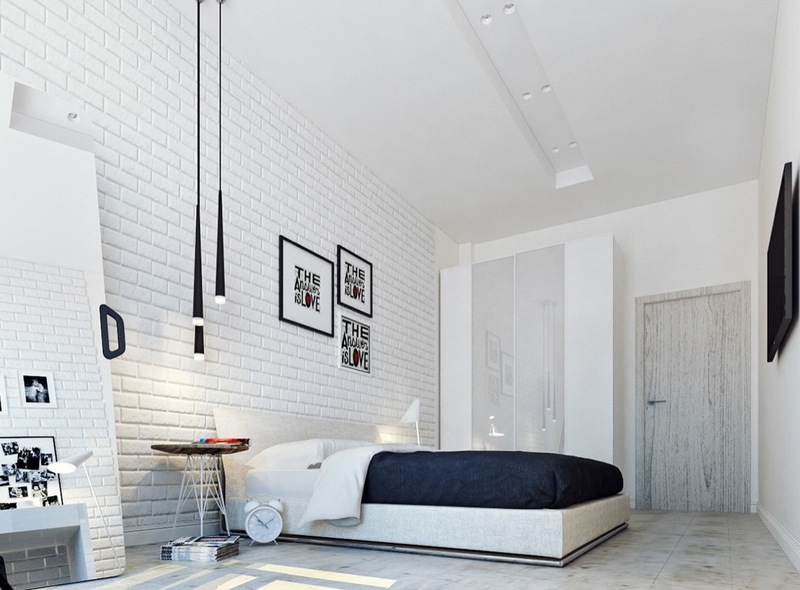 When you add even a hint of black or gray to a white bedroom, it takes on an almost futuristic feel. 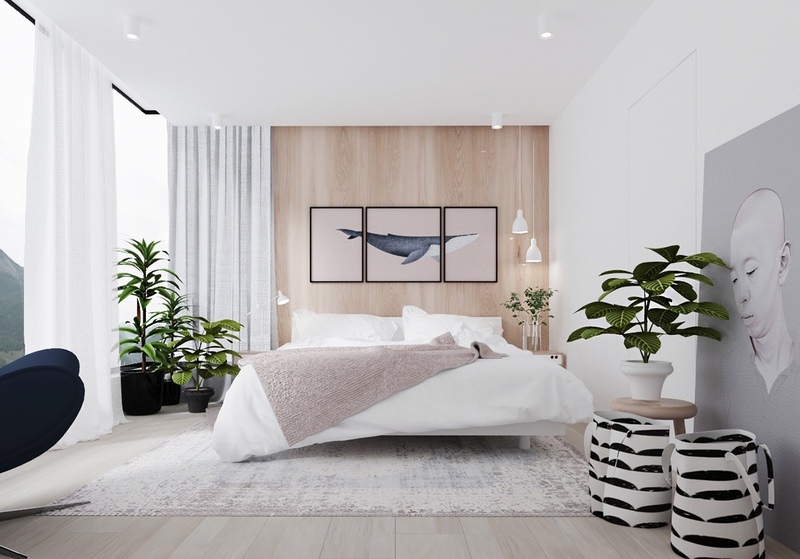 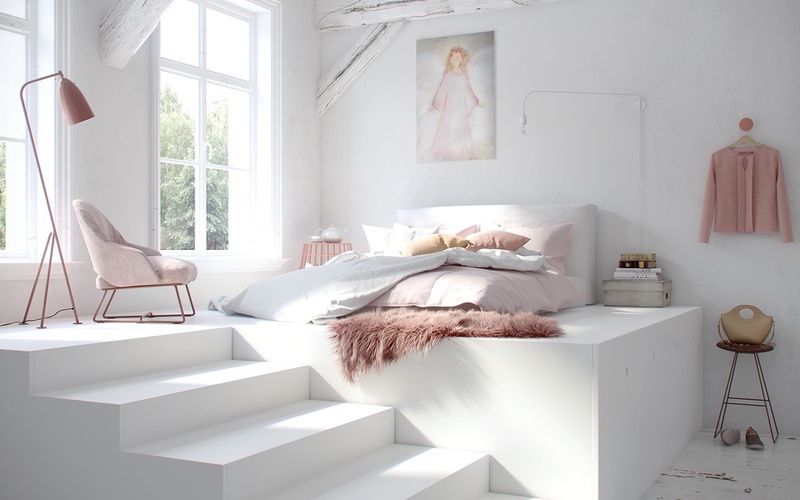 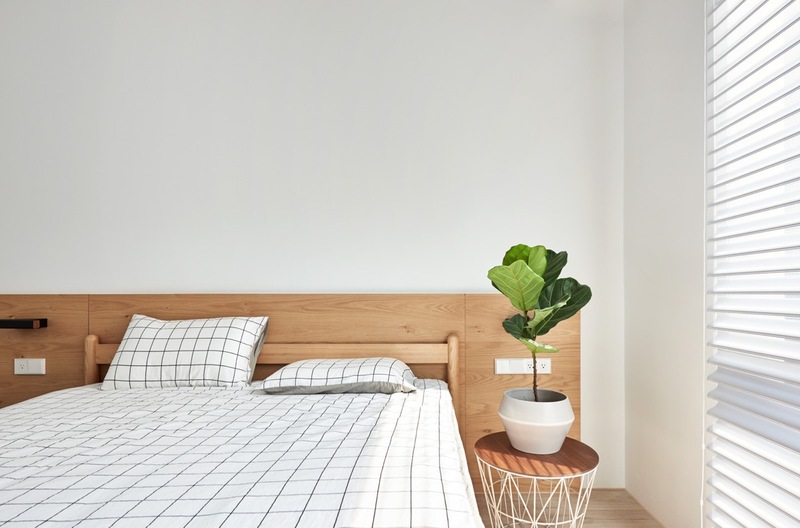 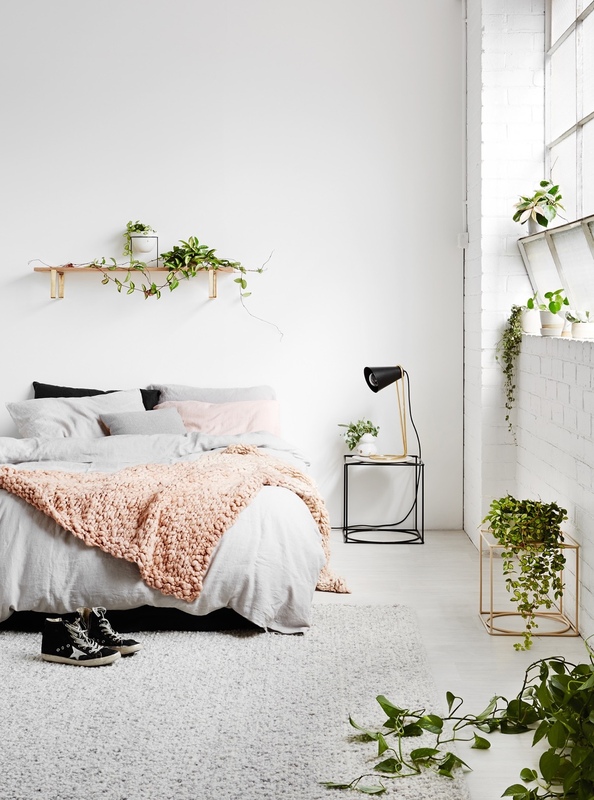 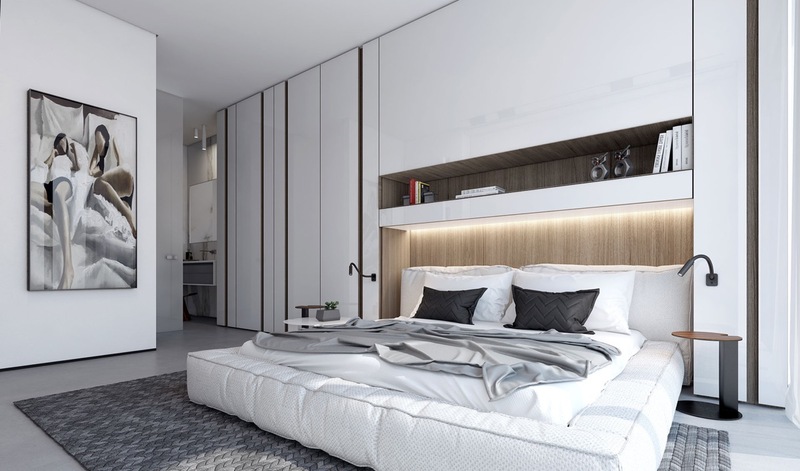 Much like other Scandinavian design, Scandinavian bedrooms like this one feature simple, high-quality elements with plenty of clean lines and a focus on practicality.